Lovemarks – Loyalty Beyond Reason. Mystery, Sensuality & Intimacy. I have now finished the first 8 chapters (102 pages) of “Lovemarks: the future beyond brands” and here are my initial thoughts. And I will quote a few interesting passages that I love. All I have to do is dream. (Chapter 8) In this chapter, Kevin shed light on the paradox of “Mystery” by clapping his hands loudly (ala Tinkerbell style) and giving us many interesting examples that are quite inspiring to read. By the way, the above is only my initial thoughts and I still have slightly more than half of the book to go. I hope I’ve been able to convey some of the ideas in “Lovemarks: the future beyond brands“. I think this is a great book that is very easy to read, insightful and useful. “Lovemarks” is already my Lovemark. I think I felt in love with it when I first saw it and noticed the attention to detail (ala the tiny reflective printing). A book that pays this much attention to details can’t be too bad, can it? And my instinct was right that this is a great book. I have already put some of what I’ve learned from the book to use. Take a look of how I have revised the branding of ideas Revolution to its current presentation here and here. I have the idea of using a rich medium to give context for my brand for a long time, but thanks to YouTube, I can now execute my idea in a deep and emotional way. Nicole, thanks again for the book. I like to also point out that my friend Nicole has done some interesting interviews for the Sisomo.com site where you can check them out the interviews here. I will end my first review of “Lovemarks: the future beyond brands” with the music video of Cat Stevens‘ song Father & Son. I put the song there for my father. And for Kevin who has so kindly shared his ideas with us for so many years and for many years to come. Note: Kevin said in the book that he has “given hundreds of presentations around the globe. “Father and Son” is the spot I always play at the end.” … “People feel this spot is talking to them personally. The story makes a deep emotional connection.” For me, I finally appreciate and realize that the song “Father and Son” is a dialogue between a father and son after reading the lyrics. 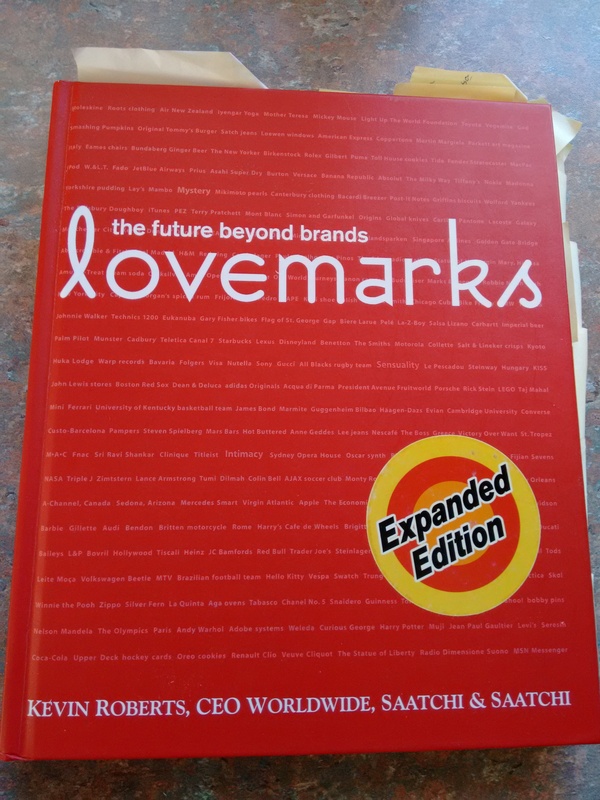 14 Oct, 2015 Update: The now retired Kevin Roberts‘ (CEO Worldwide, Saatchi & Saatchi) brand replacement idea of Lovemark remains one of my most important business insightful/understanding to this day since 2006. This entry was posted on Tuesday, October 17th, 2006 at 3:27 PM and is filed under advertising, Business, Entrepreneurship, ideasRevolution, Lovemarks, Marketing, media, Relationships, Television, Video, YouTube. You can follow any responses to this entry through the RSS 2.0 feed. Both comments and pings are currently closed. 5 Responses to Lovemarks – Loyalty Beyond Reason. Mystery, Sensuality & Intimacy.